I hadn’t read an autobiography in a while, let alone a sports one. What tipped me towards reading this particular book was that it was highly recommended by a couple of friends who are avid sports fans themselves. In fact, one of them had insisted that she listed this book as brilliant. I expected the book to be a simple narration of an athlete’s journey: his trials and tribulations, snippets from his personal life, the various battles that he had been part of on the tennis court. What I got, however, was an untarnished glimpse into the life and the roller-coaster mind of a flawed genius. There is no doubt about the fact that Agassi is one of the greatest tennis players of his age. He will forever be remembered as one of the titans. He will also be remembered as somebody who was flamboyant and perhaps not mentally strong enough to capitalise on his skills in the initial years of his career. The book smashes all such ideas. And then some more. Agassi shocks us by telling us how his father trained him since the age when he could barely hold a racket. Agassi hated the sport. As he grew up, he was, like any other kid, a rebel. What made things different for him was the focus on his life and his career. And that the rebellious kid’s every antic was being noticed and commented upon. No doubt he worked extremely hard was made to work extremely hard on his game. But he was also clearly gifted. Yet, he continuously saw ups and downs in his career graph, most of which can be attributed to the demons in his head. Agassi speaks honestly about his married life with Brooke Shields and how, even though it looked picture perfect, there were ominous signs right from the start. His subsequent wooing of Steffi Graf, however, makes for a delightful read and you cannot be any more pleased for a man to have finally found happiness after all that he has been through in his personal life. There are also some great stories of friends, trainers and coaches who have had a significant impact on Agassi’s life. Each one of these injected a dose of positive thinking in his life when he needed them the most. Those chapters are very good motivational reads. And then of course, there is Pete. “As always, Pete.” The one awkward rivalry-friendship that endures through the length of the book is that of Andre Agassi and Pete Sampras. Agassi admits as much. Sampras was definitely the more crowned champion, and perhaps with good reason. Agassi mentions how not bothered Sampras could be with the sport when he was off the court: how he could “switch off”. You cannot but admire the way Agassi speaks of his friend and arch-rival. I have always loved tennis as a sport and will forever remain a Federer fan (GO FED!). But this book has made me look with new respect at Agassi and at what is perhaps the loneliest sport out there, as he mentions in the book. 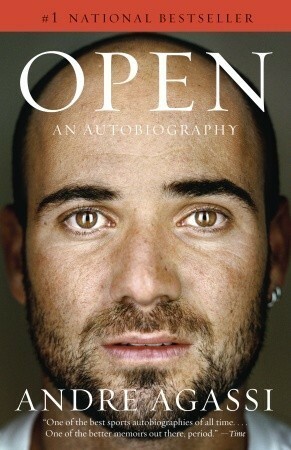 Bring on the Sampras autobiography, I say! My rating: 4 out of 5. Read more about Open on Goodreads. Get it on Amazon.in, Flipkart & on your Kindle.